When you start a new project, the discovery session is the first thing you have to do. Discovery session is basically a meeting between the project team and client to understand the client’s business, its goals, strategy, how the operation process goes and so on. This is the act of gathering key project information so you can gain a high-level understanding of the project. In most cases, this is done by getting the answers to specific questions. Usually, the discovery process occurs after a contract is signed. But some software development agencies are proposing it as a paid project prior to a formal proposal or retainer relationship. This is a commitment for clients who hesitate to sign a year-long contract, and it’s a good way to build trustful relationships with the client before sharing the inner knowledge. Sometimes the clients may or may not realize the number of questions they will face. For some, the requirements gathering of this discovery session may feel a bit overwhelming, especially if the client is not prepared for the various topics of discussion. That is why you should highlight the most important parts to focus on and then get deeper knowledge with specific questions. What is the project outcome? It can be software, new processes, documents, hardware, deployment, upgrade. What is the project’s timeframe? The duration can be expected, scheduled or urgent. What is the budget for the project? Here you have to understand what are the key cost constraints. During the project planning phase, you will create a detailed budget and cost estimate. Who is the project sponsor? Sponsor is the person or group that provides executive level support and resources for the project. The sponsor has the ability to influence the project. Who is the project customer? The customer is the person or group that is paying a key role in the outcome of the project. They will be actively involved in defining what the outcome should look like during the project initiation phase and in approving the final outcome the project produces. But these are very basic examples. To get the point you should be more specific. Like, what’s the strategy for the investment? What are the primary, secondary, and tertiary business goals? What are the key performance indicators? And so on. You have to ask clear, right questions to uncover the real problems, and then align these to what your team can accomplish. Let’s start with your initial actions to provide for the successful discovery session. What do you do on discovery session? create the roadmap of the project. Well, to provide this session the client should trust you. Otherwise, you will not get the information about the business goals and its existing problems. The vital knowledge should also include the project’s timeline and deadline. In case, the project is about to be developed in a small timeframe, you are not likely to get the most out of the discovery session – there is no space for ideas and new solutions that usually take some time. There is no 100% effective scheme for the discovery session. Who takes part in discovery session? The discovery session should be run or led by a person with a high-level understanding of the business and who is able to have these special type of in-depth conversations with clients. This person should be also able to translate the information gathered on a session into a strategic document outlining the direction of future campaigns and projects. This could be done in the form of a proposal, a creative brief, or a marketing project plan. Sometimes, depending on the project’s goal the team may vary. To dive into details and find more about Discovery session tasks, timeframe and costs, download this Discovery Session Kit prepared by Syndicode! Here you have to suggest the future discovery session actions and the results you need to obtain at the end (so-called artifacts). Select the appropriate way for further communication. This way you will have the plan according to which you’ll provide the next actions and will know what to do and what not to do. you can create prototypes – in Sketch (or Figma, Zeplin, InVision…). Learn everything you can about your client’s product. Whatever it is a website or a web app, open it and explore every single page/content/iteration/animation and credentials. How would an average user rate it? What about site/app support? What about loading speed? User interface? Find and learn everything you can about the main competitors on the market. In what way they are similar/different? What can you learn from them? How does the client organize the operational processes in the company? How these processes affect the final product? Remember, your first impressions mean a lot. Until you’re not involved in the work on the product – you remain objective, you’re still the user. With specialists from the client’s side. However, you can provide on-place interviews, but with remote ones, you can talk to more people from the client’s side. Or even ask them to fill-in online forms with questions. This way none of you will be distracted from the current work and can take this interview in the most convenient way. This format is ideal when you have yet only basic knowledge about your client’s business. Moreover, you can address your specific questions to specific people who can really answer these questions. For example, you’re allowed to ask about monolith/microservices not just a manager who communicates with you, but a software architect, who can reply or report the issue, or tell you how it all does work. In case you already have the product users, you can create some questionaries they can fill online to show their opinion on the product. A/B tests are also appropriate sometimes, but here you’re not hearing the full opinion. A/B tests let you figure out a better (but not the best) variant from the available. Moreover, the insights for the available users can be collected via Google Analytics, Hotjar or any other analog tool available from the client’s side. If the product is not developed yet, you have to find out its TA (target audience) and its insights. In this case, you can take the results and TA for the main product’s competitors. What are the user’s pain points? Are there several types of users? Set the priorities for every issue. You can do it using Decision Matrix. It is built on two axes: from ‘Urgent’ to ‘Not Urgent’ and from ‘Important’ to ‘Not Important’. Of course, the quadrant with ‘Urgent and Important’ is critical. Suggest the solution for every discovered problem or opportunity. You can ask your software architects and other engineers to help you. Brainstorms are welcome. If needed, create a lo-fi prototype. A low-fidelity prototype is a quick and easy tangible representation of a concept, a use flow, or an information structure created for getting quick feedback and improving the product. Describe in details how the current product is working and, in contrast, describe how the future product will be working after your contribution. This way, the client will see how the future product will be working even with nothing developed yet. And after you received the approval, you can start. Discovery session takes time and effort. But if acting according to the plan, you’ll have a smooth sailing without a stress. Discovery session will build the foundation for the relationship between your client and your team. It will give you a credit of trust from your client who sees your approach at a very start. An MVP could be the right solution for your next project if you still need to try and prove your assumptions and concepts. How to provide a discovery session for the new project. 6 project discovery questions for a great first impression. A better user experience – running a discovery session (part 1). Preparing clients for discovery sessions. 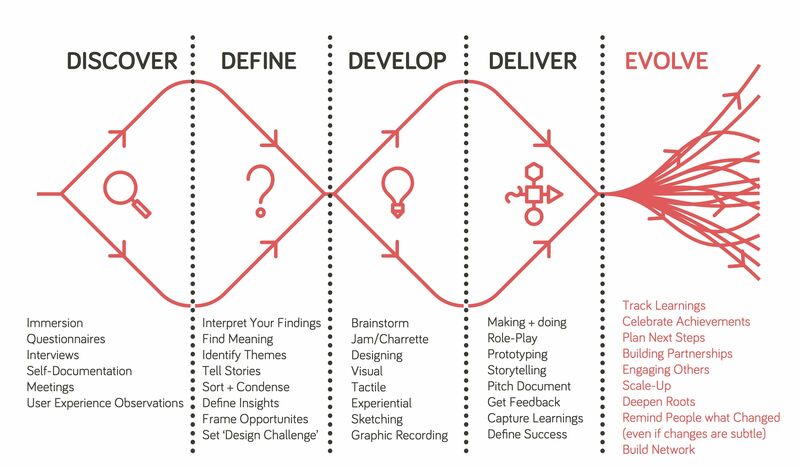 The guide to running a client discovery process. Hope you find it useful! Have a great discovery session! p.s. If you have any questions or suggestions, contact Syndicode! We’re happy to help you!